Arrive, IN 9th July -Toronto to Kenai. 10th July -Hanging out on the homestead, doing a couple projects, getting fishing licences. 11th July -Early morning wakeup for halibut fishing. 12th July -Memorial service at Soldotna Hospital, moving of the play house. 13th July -Plane flights up over the Harding Ice Field. 14th July -Hike to Fuller Lake. 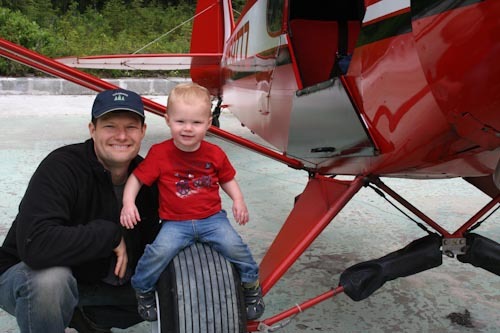 15th July -Drive to Anchorage, visit the Alaska Aviation Heritage Museum, watch planes takeoff at Lake Hood. 16th July -Hike up Flattop Mountain outside of Anchorage, downtown Anchorage open market, earthquake museum, back to Soldotna. 17th July -Rainy beach day, visit with cousins, homestead museum. 18th July -Drive to Seward and take a Fjords trip. 19th July -Drive to Anchorage, visit Palmer. OUT 20th July -Early flight out of Anchorage back to Toronto.